Sometimes you have to record your podcast in a bar, and this is one of those times. Michelle interviews Michelle Walker, wedding photographer extraordinaire! This episode is CHALK-FULL of great advice from an experienced, talented and amazing wedding photographer. Seriously, these show notes don’t do the episode justice. Listen and Learn...there is so much to learn from Michelle Walker. #26 We Love You Guys! In this episode, we love on each other, and we love on you, our dear listeners and fans! Join us for some laughs, some Spanish lessons, and we hope you can hear our smiles as we read some of your emails to us, and some reviews! We’ve been doing a lot of interviews and heavy informative stuff on the podcast lately, so we needed to circle back to the fun we have doing this show together as co-hosts! In the San Francisco Bay Area, you won’t find a shortage when looking for a wedding DJ, but one company looms large on the wedding horizon - Denon and Doyle. In this interview, Michelle talks to owner Sue Doyle, manager and DJ Mark Haggerty and DJ and office manager Mark Addison about their experiences ‘in the field’. They have an amazing team of professional DJ’s and include supplementary services like lighting, photo booths, AV and even childcare for events. Also - virtual reality! What?! 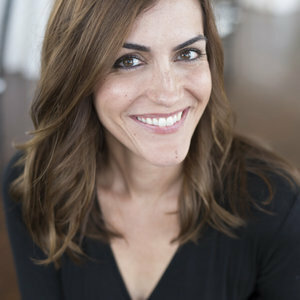 Becca Ashmon is one of Christy’s go-to makeup artists in Dallas/Fort Worth. In this episode, Christy interviews her and they talk about how Becca got into the industry, why being a makeup artist (MUA) is not for the faint of heart, how personality absolutely matters, and what brides can do to find the perfect MUA for their wedding day. Also, Becca shares her favorite makeup brands, and we talk about the Real Housewives of Beverly Hills, and drag queens because OF COURSE WE DO. Michelle nails another awesome interview! This time, she channels Jerry Seinfeld - driving around town with Nancy, interviewing her for the podcast while they wander the East Bay streets. Nancy Liu Chin is a big time florist in the SF Bay Area, she has been in the biz for 15 years. She is sharing her wisdom, experience and passion for flowers and the wedding industry in this interview. Nancy made the conscious decision to find her path in the event design industry and landed on flowers. And thank goodness! Because we think her work is simply amazing. So is her work ethic, and her business sense and her personal style - so listen and enjoy! 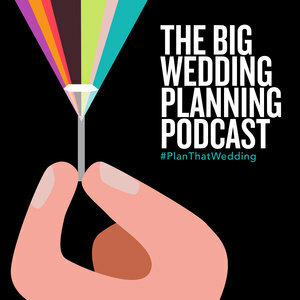 In this episode, we reminisce about some of the funny/awkward/crazy stories from weddings we have done. Between the two of us, we have about 20 years of weddings under our belts. Remember - sometimes it isn’t funny during or right afterward, but in a year, it could be a hilarious story you tell at Thanksgiving! Having a sense of humor about life is imperative. We hope you enjoy listening to this episode - we sure did enjoy recording it! Michelle is sick and Christy has a fat lip - but we will carry on! It’s been awhile since our podcast has gotten back to it’s roots...so to speak. We have been dissecting the WEDDING DAY TIMELINE, in our recent 3 piece mini-series, and Michelle recently interviewed Maria Chang, which was inspirational and insightful. We’ve just been craving a lighter, chatty chat, and we needed to catch up with each other! So here is what we threw around in this episode. Logistics...Contract review...Vendor policies! This part is, admittedly, not the most fun part of wedding planning. Which is why it’s a feat that Christy and Michelle managed to make talking about it FUN. Or at least we tried. This is part 3 of 3 - TIMELINES.